The Whole of the Moon… – Are Your Planets Keeping You Fat? It takes the Moon around 28 days to move through all the signs of the zodiac- spending around 2 ½ days in each sign. But what does this have to do with weight management, I hear you ask? The Moon is about our emotions, the way that we act instinctively to things. It’s also about our feelings around Mum and motherhood and how we nurture ourselves or have been nurtured in the past. And yes, it’s about the past. For this reason, under certain signs, we’re going to react more emotionally- even if normally you’re not the emotional type. And, as we know, emotions play havoc with routine and they play absolute havoc with clean eating. Whilst the water signs (Cancer, Pisces and Scorpio) are naturally more attached to and driven by their emotions (noticed I didn’t say more emotional…) than other signs, the two potentially most difficult signs for the Moon to be in from a dietary point of view are when it is in Taurus, and when it is in Cancer. We talked about Taurus the other day. The trick with the Taurus Moon is to plan beforehand and let routine and habit take over. The robot mentality. Given that Taurus is an Earth sign, it solidifies change and understands that goals require hard work. 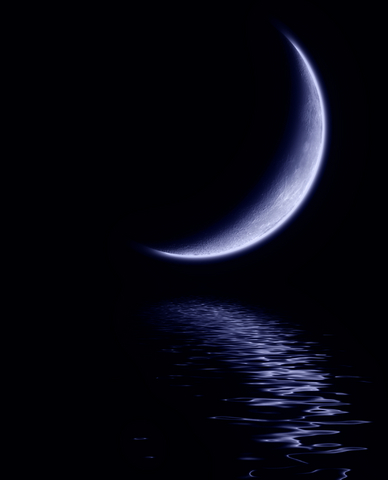 The sign Cancer is all about the Moon, Mother, the past and nurturing. It’s about safety, home fires and a full belly. In fact in the body, Cancer rules the belly and the breasts- one of the reasons why belly-dancing is a brilliant exercise for the shy Cancerian. Cancer doesn’t like to talk about her emotions. Let’s face it, if you really knew her, you would know exactly how she is feeling. Instead Cancer likes to listen to songs with lyrics that mean something, and will lock herself away, maybe with a journal, usually with chocolate, to think about everything that she should have said. When the Moon is in Cancer, these tendencies come even closer to the surface. Memories of past betrayals, hurts and arguments come to the surface. Family issues may raise their heads. Feelings run like a dark ocean tide. And comfort and the familiarity of the past is so much more tempting than an uncertain future. Motivation is washed out to sea. And yes, we know that motivation is an emotion that comes and goes, and consistency will get us through, but under a Cancer Moon, where emotions are amplified, somehow it is that much harder to detach when your every instinct is asking you to do exactly the opposite. Again the trick is to trick your body. Mimic the feeling of a warm, full belly with food that is comforting but not calorie laden. The Moon in Cancer is a perfect time to hit the kitchen. My favourite comfort food is Hainanese Chicken. Normally this is eaten cold with the skin still on and served with rice cooked in chicken fat and the wonderful stock the chook was cooked in. When the Moon is in Cancer I prepare Hainanese Chicken- but with a difference. I pre-cook it so that I have time to remove the skin from the chicken and set the stock in the fridge so the fat can be skimmed. I then prepare a salsa of fresh garlic, chilli and ginger- without the oil- and I serve a small portion of steamed rice on the side. It’s my version of chicken soup for the soul, but one that fits within my calories- and I have leftover chicken for the next couple of days. Another favourite is home-made chicken and sweetcorn soup, with fresh corn kernels, a dash of chilli and some egg white stirred through. My other hint? Write it down. Whatever it is, get it out of your head and into a journal, or somewhere safe. By getting it out of your head and past that blockage in your chest where it (whatever it is) is sitting, you are choosing to detach from it rather than attach to it. Oh, and another thing. The Moon rules the tides and also has an impact on the water levels in your body. True story. If you are a lunar type, you might be feeling a bit on the sloshy side at present. Limit your sugar and simple carbs, but keep the fluids up. Anyways, who is most at risk over the next few days? The Astro weather affects all of us, but especially anyone with the Sun or Moon in Cancer, Pisces, Scorpio will need to be aware of how they’re feeling, acknowledge it and step away from the chocolate. People with the Sun or Moon in Taurus, Capricorn and Virgo should also be hyper aware of the potential for uncomfortable emotions to de-rail your goals. I’ve scheduled some quality lap swimming time into my afternoon- it’s the perfect way for me to deal with things meditatively- and so in tune with the watery theme.